Permanent makeup is a cosmetic technique which employs tattoos (permanent makeup) as a means of producing designs that resemble makeup, such as eyelining and other permanent enhancing colors to the skin of the face, lips, and eyelids. It is also used to restore or enhance the breast's areola,such as after breast surgery.Specific.. Basic Info:Model NO. 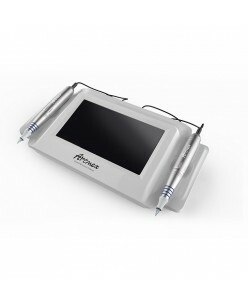 : Artmex V6Theory: Microneedle Therapy2 in 1 Functions: Mts/PmuColor: WhiteOEM/ODM: YesType: Digital Permanent Makeup MachineStatus: 2017 New in MarketScreen: LED ScreenShell Material: PlasticFunction: Scar Removal,Skin Sejuvenation,Hair Loss TreatmentAdvantages & Functions:- Precision work to facilitate .. 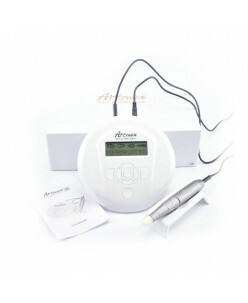 It is the world's first computerized permanent cosmetic device and is used for procedures and permanent cosmetics. 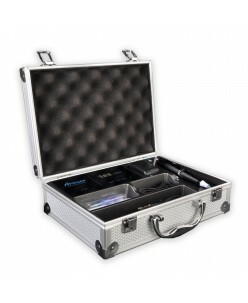 Given its high level of needle insertions per second capacity (max 170 punctures per second), this powerful device is ultra-precise, a key feature for medical applications such as areola restoration, scar camouflage..